Stay up to date, be entertained and stay connected to Parcast and our shows with our blog! What to expect in Great Women of Business! We're excited to announce the first 12 women who will be covered in our new podcast, Great Women of Business! Born Gabrielle Bonheur Chanel in 1883, Coco Chanel revolutionized fashion with her keen creativity. She may have been one of the first to understand the idea of "branding" as we know it today. Julia Child is an American chef, author, and TV personality. During World War 2 she was working for the Office of Strategic Services when the Navy realized that area sharks would swim too close to their deployed explosives in the water. Julia Child set out to work on her first recipe: Shark repellant. It would be used in the field for over 25 years. Martha Stewart only sleeps around 4 hours a night. She uses the rest of her time to run Martha Stewart Living Omnimedia, a sprawling landscape of magazines, radio shows, books, home goods, and television programs she built by herself. In 1999, she became the first self-made female billionaire in the United States. After developing a scalp disorder that caused her to lose much of her hair, CJ Walker developed a homemade hair care products and marketed it to black women. Between developing strong products and strategic self-promotion, Walker became America's first black female millionaire. Ruth Handler co-founded Mattel with her husband Elliot. Originally a plastics company, Mattel changed their focus to toys when Ruth Handler suggested that the post-war baby-boom would mean many new children would need toys. Years later, she would note the toy market for little girls had baby dolls, but no dolls of adult women. Barbie was soon launched. 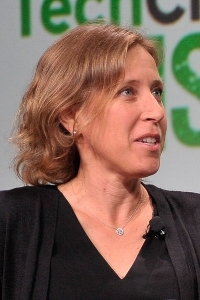 Susan Wojcicki, currently the CEO of YouTube, discovered that great opportunities aren't always easy to recognize. But Wojcicki had a knack for not only recognizing great opportunities but seizing them and executing upon them with immediacy. Her first big opportunity came when she left her job at Intel to become Google's 16th employee. Debbie Fields found her passion for baking cookies when she was a young teenager. She baked them often and tinkered with recipes until she found one that all of her friends thought was amazing. But while everybody seemed to love her cookies, nobody seemed to love them enough to think that opening her own cookie store was a good idea. But at the age of 20, she was able to procure a $25,000 loan and opened up the first of what would be over 500 Mrs. Fields Cookies stores. Brownie Wise exuded personality and charm. She was a top seller of Stanley Home Products during at home party demonstrations. When she saw low sales for Tupperware at department stores, she realized that at home parties would likely increase sales. And she was right. She was so successful, she was eventually hired to be the Vice President of Earl Tupper's Tupperware company. At twenty-four years old, Lillian Vernon invested $2,000 in her own mail order service called Vernon Specialties Company which she ran from her kitchen table. She placed her first ad in Seventeen magazine and people took notice. Revlon liked one of her designs and offered her a distribution deal. Then came Elizabeth Arden, Maybelline, and others. 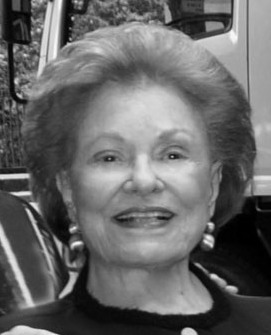 Lillian Vernon was on her way to becoming the first woman to found a company publicly traded on the American Stock Exchange. Lydia Pinkham shared her Vegetable Compound with neighbors but never thought of marketing it. But when money became tight in her family, she marketed the homemade compound to women. With women reluctant to talk to male doctors about female problems, the product took off. A business that started in her cellar would grow to be produced in a laboratory that would brew, bottle and ship her product. Indra Nooyi is an Indian American businesswoman who was educated both in India and in the United States. With three bachelors degrees, an MBA, and Masters in Public and Private Management, Nooyi was more than qualified when she was hired by Pepsi in 1994. She has since climbed the ranks and is currently the Chairman and Chief Executive Officer of PepsiCo. Estée Lauder not only made the world a more beautiful place, she also left behind a billion-dollar legacy. As a teenager, she gained valuable business experience working in her father's hardware store. But things would change for Lauder when she agreed to help her uncle, a chemist who sold beauty products and fragrances. After watching him create his products, Lauder realized her true calling was in beauty products. Parcast is an on demand multi-dimensional Podcast Network that is focused on producing high quality, entertaining, mysterious, insightful and thought-provoking podcasts for our audience. Check out the Unsolved Murders Podcast now!